When not logged in, I can use Launchpad login on any Stack Exchange sites. When logged in via Ask Ubuntu, I am logged in on all Stack Exchange sites. When logged on Ask Ubuntu with Launchpad I am logged in on some sites, but not all. For example, after logging in on https://askubuntu.com/ I was logged in on Unix & Linux, Server Fault, Stack Overflow but not Super User. Super User would just say I'm not logged in. Clicking on "log in" would offer some providers, but not Ask Ubuntu. Reloading the page would not fix. I restarted Firefox, removed all cookies, only to see that I was still logged in (what the ... ?). Used the "log out" link then logged in again using launchpad ID on Ask Ubuntu. There, I see I'm logged in on most on my accounts but not area51. It's strange that this time I'm logged in on Super User, which wasn't the case before. 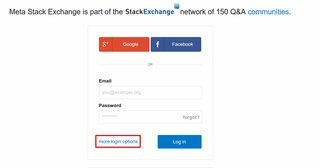 I have read Is there a way for StackExchange to accept Launchpad IDs to login systemwide? - Ask Ubuntu Meta done it long time ago. Not the problem. I have read Can I (and How do I) use my askubuntu account on other Stack Exchange sites? - Ask Ubuntu Meta . The options on the login page on the network are more restricted than before (e.g. Launchpad not listed on Super User). Is there any explanation for the observed behavior? Is the "expected behavior" correct? How to go from the "observed behavior" to the "expected behavior"? The answer to Can I (and How do I) use my askubuntu account on other Stack Exchange sites? 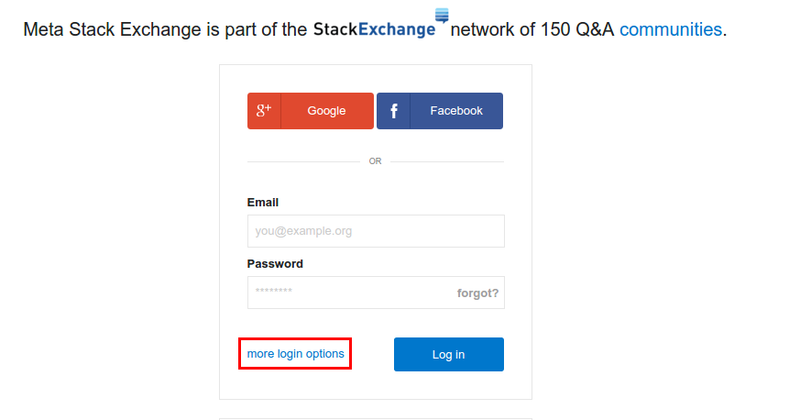 is actually still correct, but Stack Exchange has changed their login page some so it isn't quite clear. 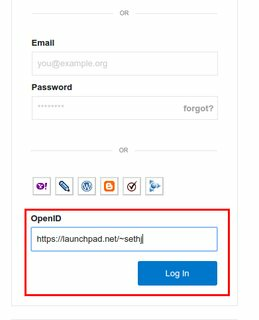 On the login page you need to click "more login options" and then input your launchpad URL in the OpenID field. Not the answer you're looking for? Browse other questions tagged support login launchpad openid .